Improv! Local actor, comedy improviser and singer Jennifer Pielak is offering Winterl Improv Classes for Homelearners. In 10 weeks, you will develop a deeper understanding of improvisation and work toward a final performance! Through acting exercises, improv games and music, you will learn to trust your imagination, create new characters and successfully improvise scenes and stories. Find your unique style of comedy, have fun, and collaborate with others to make a rockin' show! Warning: Improv is known to develop confidence, quick thinking, creativity, social awareness, listening, self acceptance and trust. So it has been decided to keep the classes on Mondays, starting October 7th. Registration is now open! 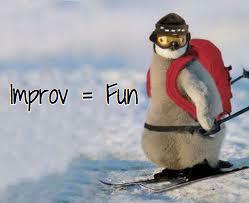 You can register through a NEW HL Improv Classes Site! Cheers, and I hope to see you all in class! Not sure? Skeptical? Scared? Come try out the first class for $12. Be sure to register below. *No classes on Thanksgiving or Remembrance Day. Max. 12 Students per class. There are still spots open for the Winter Home Learning Improv Classes! Classes start next week, on January 21st. I am offering two classes this January - Kids (8-12) and Teen (13-16). There will be a Final Performance on the last day of class. Unsure? Come to our "Try It Out" class to see what improvis all about! "The Improv Show was so great! The kids all did so well up on stage! Tanner and Andreas had so much fun with your improvlessons. They often were so pumped up after your classes that they would sing all the way home in the car. It's great to see them have such a great time!" Please pass this on to parents and e-mail lists in your networks! E-mail Jennifer to try it out! Note: 10 classes per session. Final Performance on the last day! There will be no class on Feb. 11th, March 18th, or April 1stdue to holidays and special bookings. 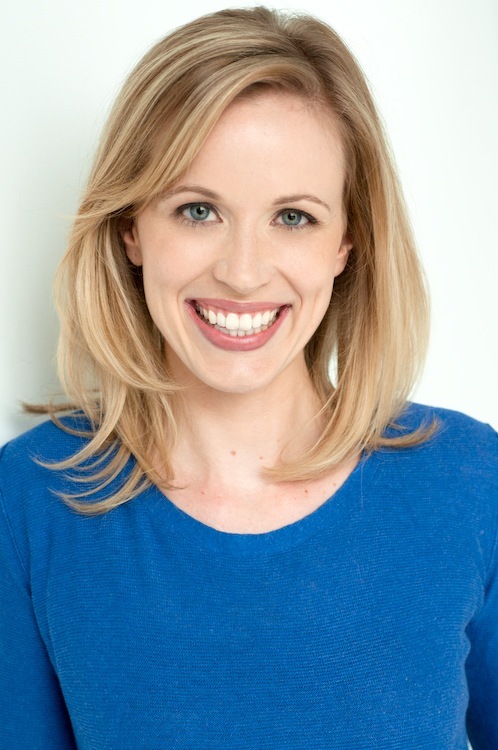 Jennifer Pielak is an actor, comedy improviser and singer who performs in Vancouver and the Tri-Cities. You can see her perform at Second Storey Theatre in Port Coquitlam - the Tri Cities' best improv theatre! She has trained at The Second City and iO Theater in Chicago and also has a BA in Psychology and Philosophy from UBC. She has been teaching for 7 years and loves to share her knowledge and passion for comedy improv and music. "My son was looking forward to this camp all summer, he couldn't wait to get back into improv after the Spring Break Camp! Improv is his favourite!" My daughter enjoyed it a lot, and I think it sparked an interest in theatre for her. That and a lot of bad joke telling at dinnertime this week.... We look forward to taking more improv with you!" Watch an interview with Jennifer about being a comedy improviser here!